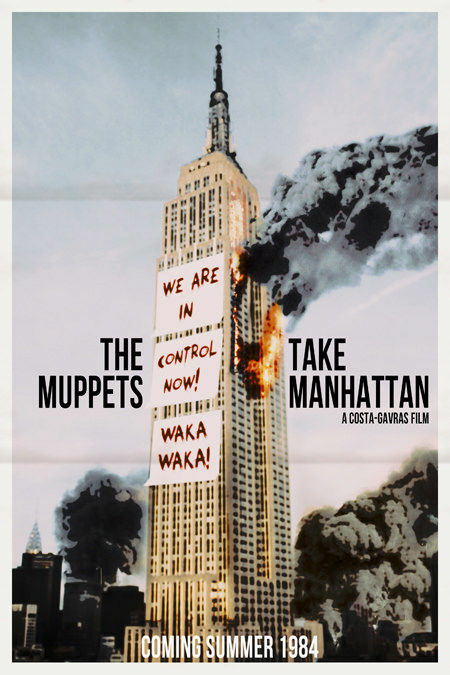 Posters for movies are always pretty cool, but there is something about vintage posters that can just capture your heart. 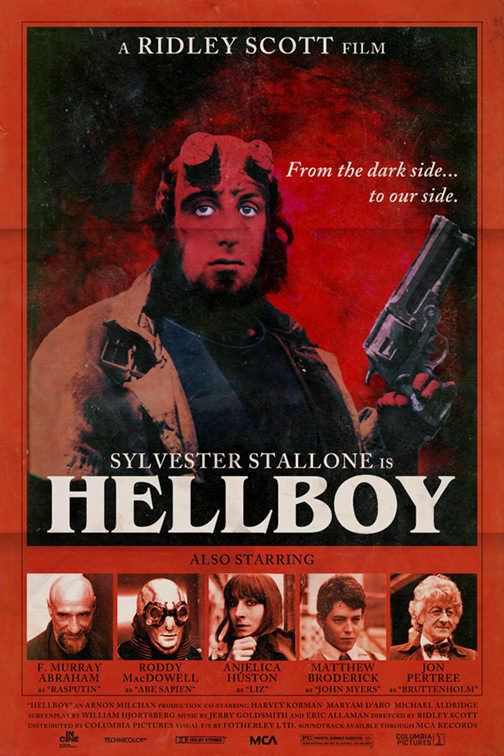 Which is why when we found out that artist Peter Stults was recreating our favourite movie posters with “what if” actors in a vintage style we got rather excited. 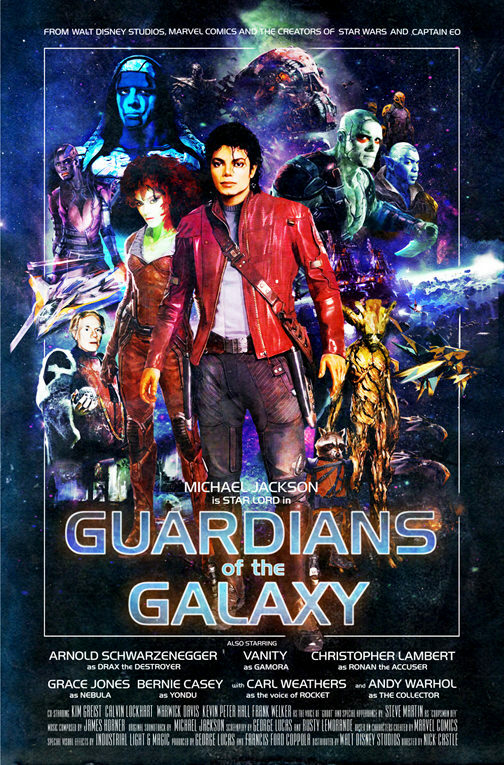 This vintage poster has Michael Jackson taking on the role of Starlord – he certainly had the moves for it. Plus we’d LOVE to see Arnie as Drax the Destroyer and Andy Warhol as The Collector. 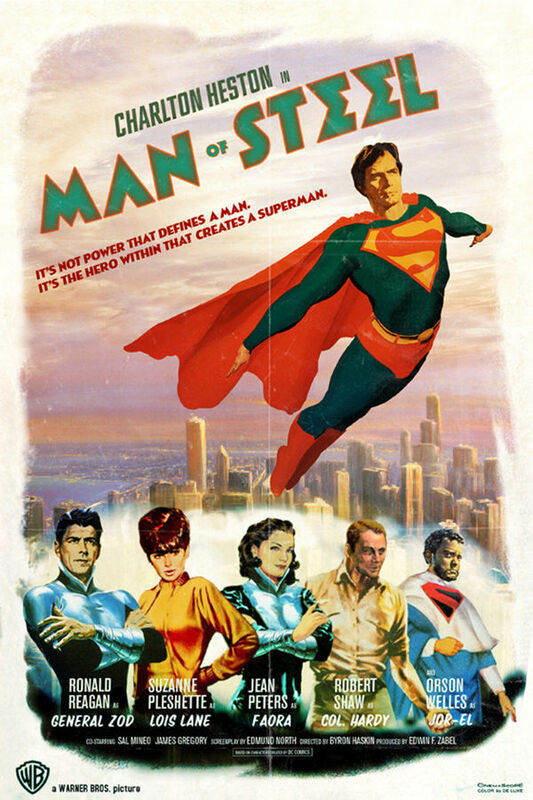 What do you think about Charlton Heston as the Man of Steel himself Superman? Ronald Regan would certainly make a brilliant General Zod. 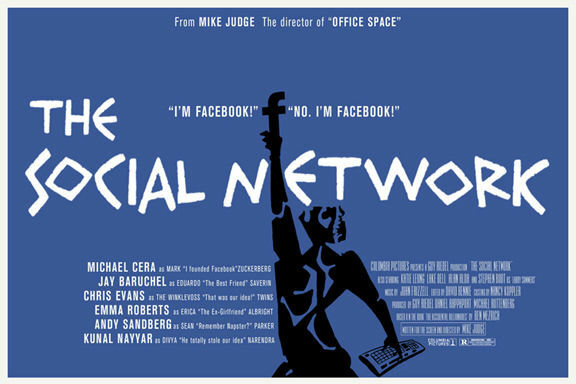 This vintage poster for The Social Network is 100 times better than the real thing. Perhaps less so on the cast… We’re not sure how serious we could take Michael Cera as Mark Zuckerberg. Can you really imagine Se7en without the delectable Mr Pitt? Us neither. 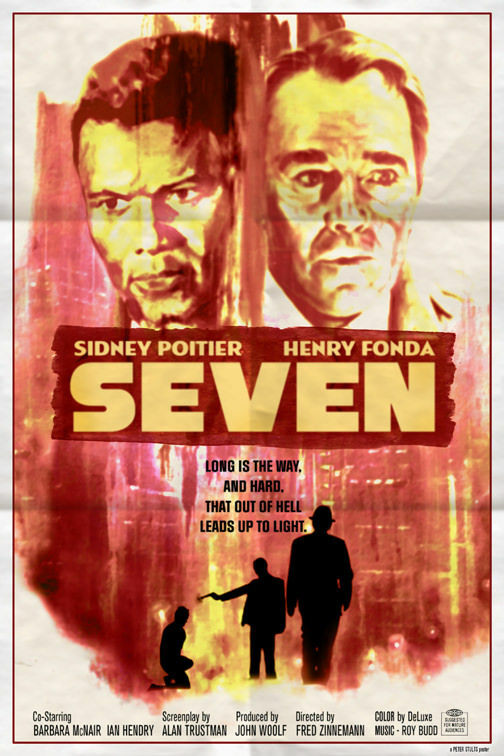 But we still love this vintage poster for Se7en. Do you think it would have been as creepy if it had been released back then? 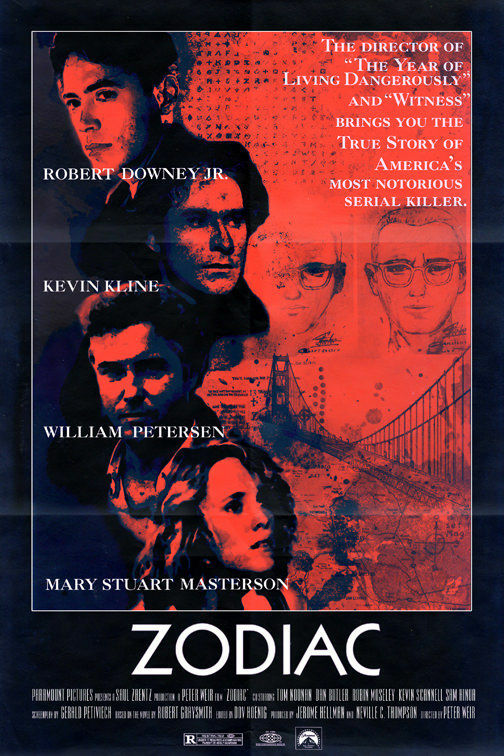 We love the Zodiac vintage poster – especially with a fresh-faced Robert Downey Jr. And you can’t have a serial killer hunt without William Peterson in there somewhere. 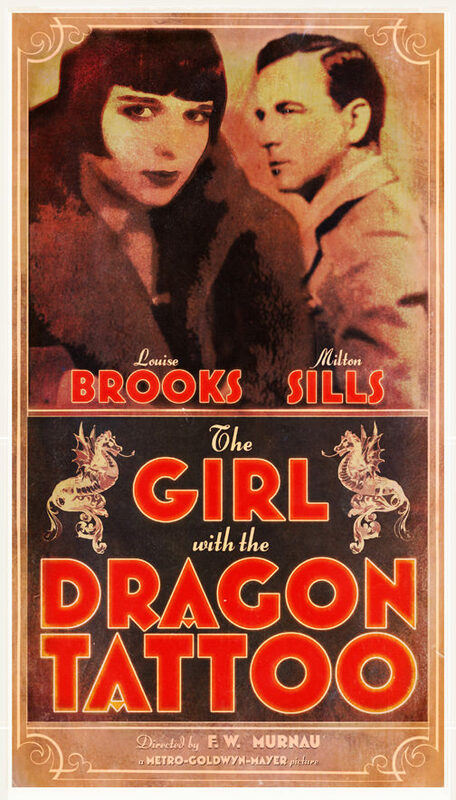 It’s The Great Gatsby meets The Girl With the Dragon Tattoo in this vintage poster. The artwork is superb, but we doubt it will be quite so violent as either the Swedish original or American remake. 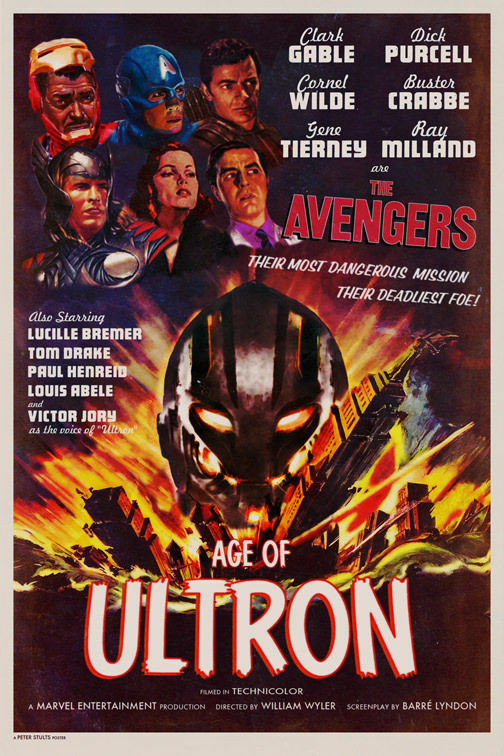 We are absolutely in love with this vintage poster remake of The Avengers: Age of Ultron poster. Ultron himself looks like he’s just walked off the pages of a comic book. Plus Clark Gable as Iron Man is utterly perfect. Previous articleLook At This Artist’s Beautifully Intricate Paper Designs! Some of your fave movies are known as completely different things on the other side of the globe!